There are many ways for companies to access opportunities in the marketplace. One option not to be overlooked is having your company certified as a minority- or women-owned enterprise, if applicable. Many corporations, as well as federal and state governments, have set goals to procure some portion of their goods and services from minority- and women-owned businesses. There are many reasons that these programs exist but corporate America for one has recognized that in order to gain market share from minority communities and women, they must also do business with those populations. Governments also want to ensure that tax dollars are utilized in a way that allows all sectors of society to participate. To meet these objectives, private and public sector firms search for minority- and women-owned suppliers through programs that have formal certification processes. The various types of certifications available can be confusing and companies should take the time to find the certification that best suits their needs and strengths. The process is also time-consuming and sometimes expensive, so preliminary research can save both time and money. Many certifications require that you have been in business for a minimum period of time. Listed below are some of the more popular certification programs and their criteria. This certification is best suited for companies that are looking for private-sector buyers. NMSDC has a stellar list of corporate members including Accenture, Nissan, IBM, Oracle and Nationwide Insurance (www.nmsdc.org). NMSDC and its local councils help connect these companies with the certified minority suppliers who are its members through trade-shows, conferences and referral programs. Eligibility: For-profit enterprises of any size that are located in the United States and are owned, operated, and controlled by minority group members who are U.S. citizens. A minority group member is an individual who is a U.S. citizen with at least 25 percent Asian-Indian, Asian-Pacific, black, Hispanic, or Native American heritage. Documentation to support the claim is required. Additionally, at least 51 percent of the business or the company’s stock must be owned by such individuals, and the management and operations must also be controlled by such individuals. The Small Business Administration’s 8(a) Business Development Program helps minority-owned companies win contracts in the public sector (www.sba.gov/content/8a-business-development). You must have been in business at least two years to apply for this program. 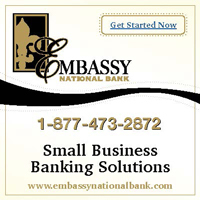 However the application is free and the SBA provides free counseling and assistance to applicants. The program also offers business counseling, training and marketing assistance. The primary goal, however, is to give 8(a) certified businesses access to contracts with limited competition. Eligibility: Small businesses that are owned and controlled by U.S. citizens who are “socially and economically disadvantaged.” Socially disadvantaged refers to individuals who are “subjected to racial or ethnic prejudice” and includes, but is not necessarily limited to, black, Hispanic, Native American, Asian-Pacific, and Subcontinent Asian. The business must be at least 51 percent directly owned by economically and socially disadvantaged individuals. The company must have been in business for at least two years prior to applying, and it must submit income tax returns for those two years that show operating revenue. The National Women Business Owners Corporation (NWBOC: www.nwboc.org), which was formed in 1995, and The Women’s Business Enterprise National Council (WBENC: www.wbenc.org), a Washington, D.C.-based national nonprofit, both provide a process for women-owned enterprises to get certified and get connected with companies looking for women-owned suppliers. They also offer training and other business resources. NWBOC’s certification is accepted by both public and public sector firms, while more than 1000 private companies recognize WBENC certification. Eligibility: A woman must own 51 percent of the business to qualify for certification. A woman must also hold the highest position at the company and be active in daily management and the strategic direction of the company. In addition to being a majority owner, a woman must also be a U.S. citizen (or a permanent resident for WBENC certification), and it is recommended that she be in business for at least six months. There are many other certification programs that cannot be covered here due to space including the Disadvantaged Business Enterprise program run by the Department of Transportation (http://osdbuweb.dot.gov/DBEProgram/) and those run by individual cities and states such as the City of Atlanta’s Equal Business Opportunity program (http://www.atlantaga.gov) and the State of Maryland’s Minority Business Enterprise Program (www.mdot.maryland.gov). There are also disadvantages to becoming certified. A critical part of the application and certification process is to weed out those companies that are not truly minority- or women-owned and operated—for example, companies where majority ownership may be nominally held by a minority or women but actual control is held by others. Accordingly, the application process is often burdensome, requiring companies to set aside significant time to gather the documentation and submit it. Finally, the certification is only valuable to the extent the company utilizes the resources and opportunities that come with it, such as participating in requests for proposal or attending trade shows and conferences. Pursuing these opportunities means that companies have to be willing to commit ongoing resources and funds in order to get the benefits of the certification. So it is important to establish up front and on a regular basis whether certification is a worthwhile venture for your company. Without it, however, an eligible business may miss out on a vital business strategy and tool. Business Insights is hosted by the Law Firm of Kumar, Prabhu, Patel & Banerjee, LLC. Sonjui L. Kumar is a corporate, transactional attorney and a founding partner of KPPB Law. Her practice focuses on acting as general counsel to privately held companies, including foreign companies doing business in the U.S.